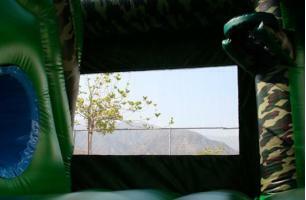 10, hut, soldier! 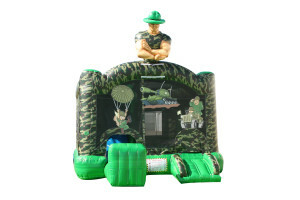 Your command is to rent inflatable bouncers for your child's birthday, and there's only one that will fit into their military obsession. 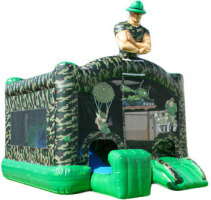 The Camo Sergeant Combo is both a bounce house and an obstacle course, allowing your party to reenact some of the more fun parts of boot camp.